Immunisations are one of the most important services we provide. Immunisation has led to the decline of many lethal diseases including, most recently, meningitis. Babies are routinely immunised for tetanus, polio, whooping cough, diphtheria, hepatitis B and haemophilus influenza type B, which are now combined in one injection. Immunisation for measles, mumps and rubella are also provided in one injection. Pneumococcal vaccine is available to all babies in Australia as part of their free childhood immunisations. 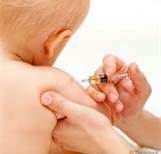 Immunisations are routinely given at 6 weeks, 4, 6,12, 18 months and 4 years. Human papillomavirus (HPV) vaccine is free for girls and boys in year 7 at school along with a booster for tetanus and whooping cough. Injections are normally done by specially qualified nurses after completing a pre-vaccination screening process. Each child has his or her own Blue Book to keep a record of these injections. The immunisation record will need to be shown, for example, when starting school or early childcare. The staff will also record the immunisation details in the National Immunisation Register. We aim to alert families when immunisations are due by using a recall system. Reactions to immunisation are extremely rare following improvements in vaccine research and production. Please feel free to discuss the benefits of Immunisation with the nurses or doctors.